Irrigation North Carolina: Start a Vegetable Garden This Spring! Start a Vegetable Garden This Spring! 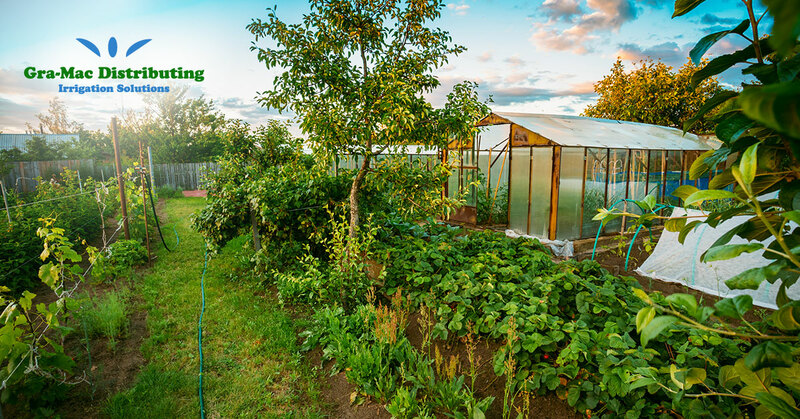 Spring is upon us, and you may be looking at your own yard and considering a vegetable garden.. Maybe you have thought of having a garden for years, but this is the year you are determined to make it happen! 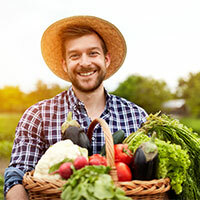 A garden is a great addition to any yard, and with a few tips you will be on your way to enjoying fresh, delicious vegetables that you have grown yourself. With not too much work, your yard can produce many of the vegetables that you currently buy in the store. Get your vegetable garden started today! Choosing a great spot for your vegetable garden will be the first step. Find a spot that is easily accessible—you don’t want to be walking an acre away to weed your garden. Of course, you will also need to ensure that your spot has plenty of sunlight, as your veggies will need this to grow. Watch your desired spot throughout the day to ensure that it doesn’t become shaded for most of the day by a nearby building or tree. Once you have picked the perfect place, you are ready to determine the size of your garden. You may have dreamed of a huge, sprawling garden with everything from carrots to lettuce to melons. If you are just starting out in your garden explorations, you should begin with a smaller, more manageable plot. If you start too big, you may feel overwhelmed and not take as good care of your vegetable garden as you should. If your first garden does not succeed, it is hard to start again, so start small and simple. Calling up an image of a vegetable garden may bring to mind rows upon neat rows of cabbages or carrot-tops. However, this method of row-planting is not the most efficient way to organize your garden. A much more approachable way to start gardening is with above ground garden boxes. A garden box eliminates the need for walking paths between rows, and keeps the soil from being compacted down through walking. Rows may work for large farms with automated machinery, but for a home garden a garden box is the way to go. The soil you plant your seeds in will provide nutrients to your plants and the softer your soil the more easily roots can stretch down to soak up water. You also want the soil to encourage good drainage, where water does not sit on top, or drain away too quickly. Most home gardeners could benefit from adding compost to their soil, and increasing the organic matter in your soil can really affect your crops. Before you add your seeds you need to be mixing in a rich compost to amend your soil. 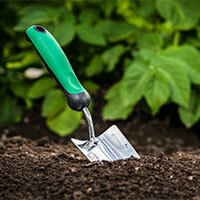 Great soil is probably the number one thing you can do to ensure the success of your vegetable garden. Seeds are inexpensive, much less than plants, and buying the highest quality seeds you can is important. Better quality seeds will produce better harvests, and the amount invested in these seeds is small compared to the results. So start smart with the best seeds! Some vegetables are more tricky to grow than others. Start with the ones that are sure to produce, and your confidence in your garden skills will grow. Some common vegetables that are relatively easy to grow include: tomatoes, zucchini, cabbage, beans, carrots, beets, chard, peppers, and radishes. Start with some of these veggies and you can move on to more favorites as you find success. Of course, your new vegetable garden is going to need a way to be watered. You could hand water your garden with a watering can or a hose, but this is time-consuming and can be wasteful. To water your garden exactly when, and how much you want you need an irrigation system. Even a few days of forgetting to water your plants can ruin your garden! Make sure your plants are watered daily with an irrigation system from Gra-mac Distributing Irrigation Solutions if you are in North Carolina. Our drip irrigation systems can deliver just the amount of water your plants need, without waste from sprinklers or hoses. A great irrigation system will make all the difference in the success of your garden. If you have been waiting for the perfect time to start a vegetable garden, it is here! This spring could be the start of a great vegetable growing season with the right tools and preparation. Pick out your spot, seeds and soil and make sure your garden is set to receive plenty of water and sunshine. By the middle of the summer you will already be harvesting the first fruits (veggies!) of your labor. For all of your irrigation needs, both big and small, Gra-Mac would love to be of service! Happy vegetable growing!